When it comes to the ways we each help others, I think they are often as varied as the people doing the act. When my sister-in-law, Brenda Schulenberg found herself in a health crisis she called me to help her walk through the hospitalization and the many doctor visits. That was probably a good decision to make, as that is something I have a knack for. 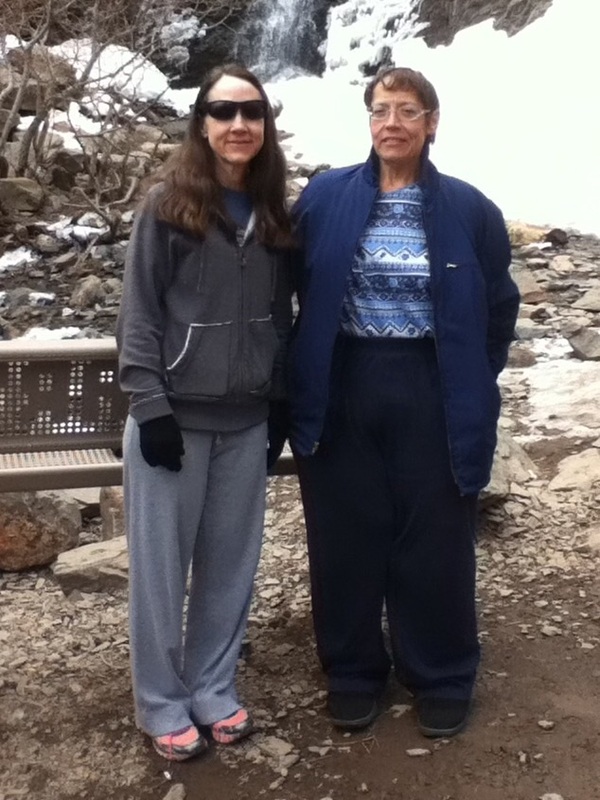 But, when it came to someone to help her with her plans to get in shape, she looked to her sister, Jennifer Parmely. That was probably one of the smartest choices she could have ever made. Jennifer is without question, one of the best people I know to inspire someone to keep going when it comes to diet, exercise, and fitness in general. Her determination and drive have pushed her from a place in her own life when she was overweight, to many years of good health and a slender lifestyle. She knew what she needed to do, and she set her mind to doing it. Failure was not an option. Not many people can stick to their guns in such a way. The statistics show that most people who set out to diet and get in shape, will fail to reach their goal. Life always seems to get in the way, and maybe a little bit of depression too. Before long, most people give up, but not Jennifer, and now, not Brenda either. 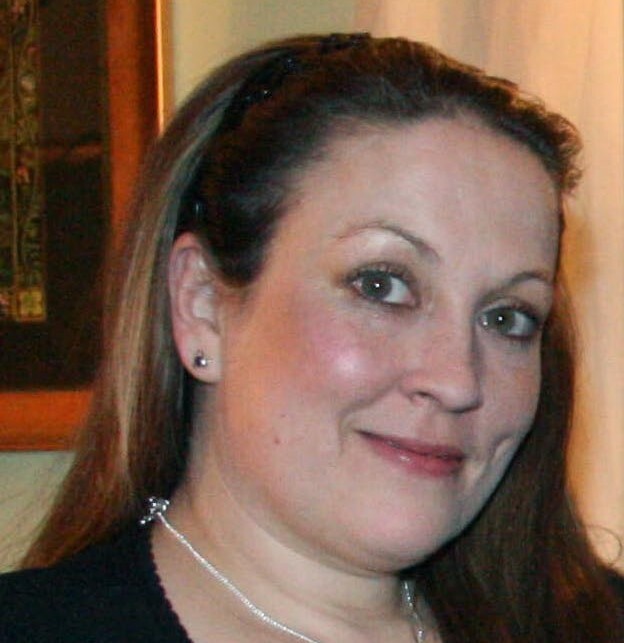 Jennifer was a different person years ago…right after having her two youngest boys. She was carrying a little extra weight, and then suddenly, she wasn’t. Most of us who knew her, were in awe of her determination. That’s what it takes to make a life change. You have to make up your mind that you are going to do it, and then don’t let anything get in your way. Jennifer did just that. She took up skiing, hiking, jogging, bicycling, and any other form of exercise she could think of. And she got to the point where exercise didn’t seem like exercise, but rather like activity. It’s a talent we could all stand to learn, and one that would serve us well for years to come. Sometimes, I find it funny that we can have a career that really is perfect for us, but still have a talent in another area completely, and we are really good at that too. I am an insurance agent, and I’m good at my job, but I am a good caregiver, author, and computer tech too. Jennifer is an OB nurse, but she could easily be a dietician and a personal trainer, and whether she ever decided to be a personal trainer for anyone else, Jennifer has been the perfect personal trainer for her sister, Brenda. Somehow, those secondary skills, can become the most important thing we have ever done in our lives. They can be the most life changing gift we can give to those around us. Today is Jennifer’s birthday. Happy birthday Jennifer!! Have a wonderful day!! We love you!! 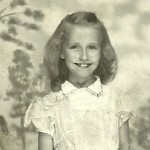 As my sisters and I were going through our parents things a couple of weeks ago, we came across our mom, Collene Byer Spencer’s diary. It was given to her by her sister Virginia and her husband in 1947, when Mom was just eleven years old. As we drew names for the different items we found, I received the diary. My sister, Allyn Hadlock had read a few passages from it, and thought it felt wrong somehow, but since Mom is no longer with us, I think it’s ok to read it. So tonight, I have been doing just that. 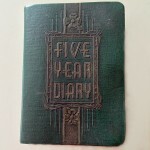 The diary is a five year diary, and it was written in sporadically from 1947 to 1951. Funny thing about diaries…your well meaning plan to writing in them faithfully every day, always seems to dwindle into once in a great while pretty quickly. 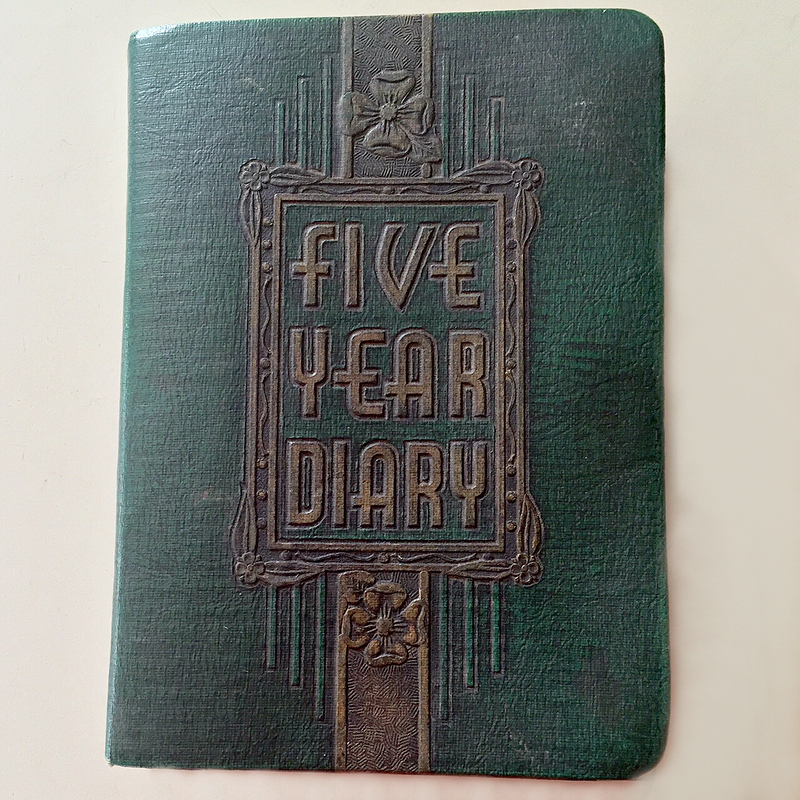 Having had a diary myself…wow, I wonder where that got to, and if we will come across it somewhere in all of Mom’s things. What things did I write in there that might be embarrassing? The rambling of a silly little girl…all but meaningless today. Well, all I can say is that I hope we don’t come across it. That said, I do remember my own diary, and much like my mother’s it seems that at the age when a diary becomes so interesting, and all the rage, life always seems to take on a bit of the boring. I suppose that is because nobody’s life can be all bells and whistles every day. At some point, you always find yourself with very little to say about the day’s events. Life’s days aren’t often filled with daily exciting things that are worthy of filling the pages of a diary…at least not when you are eleven. I really wish I had maybe been a little more persistent about writing in my diary or a journal in later years though, because I now see the value of such writings. I did learn some things about my mother, and even about my dad. Mom met dad when she was just ten years old. She told me that the first time she saw him she thought that he was the most handsome man she had ever seen. Dad was twelve years older than Mom, so when she met him, he would have been 22 years old, and at ten, Mom was just about getting to the age where boys were suddenly interesting, and an older man who was as handsome as my Dad was…well, it must have felt like meeting a movie star. Dad liked Mom right away, but probably not is a romantic way. He was a friend of the family, and so came to visit often. During the next few years it appeared to me that Mom had a bit of a crush on Dad, but maybe tried not to let everyone know that, because of the inevitable teasing that would go along with it. By 1949, Dad’s opinion started to mean more to Mom, and when she cut her hair to look more grown up and he didn’t like it…because Dad has always loved long hair, she was upset, and said, “I got my hair cut, and I like it. Al was mad at me, but he doesn’t have a lease on me, so how I wear my hair is none of his biz!” For his part, Dad told her he was going to grow a beard, and he did. She pretended not to notice. 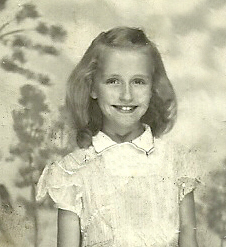 In her early years and even while Dad was coming around a lot, Mom was a bit of a boy crazy girl. I always wondered where I got that from, and now I know. I had a boyfriend from the moment I started school, and it appears that Mom did too, quite a lot. 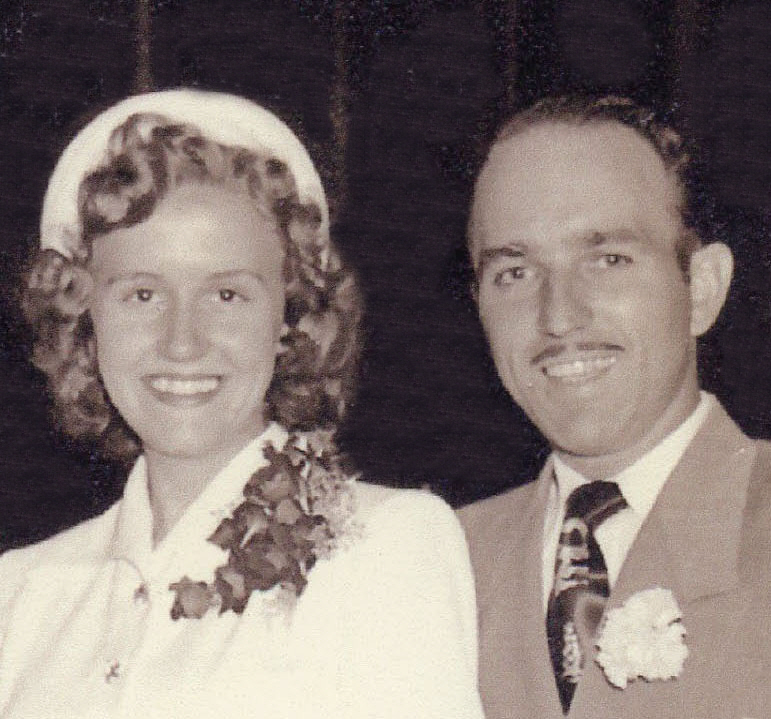 By the time Mom was fifteen years old in 1951, Dad was already sure that she was the girl he wanted to spend the rest of his life with. Their romance reminded me a little bit of Laura Ingalls in the Little House on the Prairie books. Almanzo knew he wanted to marry Laura, and she did too, but her dad said they had to wait to marry until she was eighteen. In Mom’s case, it wasn’t her dad who thought they should wait until she was eighteen, but her. At fifteen years of age, she had to get to know herself first. In the end, they would only wait until she was seventeen, but it did not matter. Theirs was a match made in Heaven, and a love to last a lifetime. And the ramblings of a girl writing in her diary trying to figure out just how life and love worked while written sporadically, were clear to this reader anyway. Today, I have been thinking about my cousin, Greg Huhsman a lot. This has been a year of much change, and sadness, for Greg, with a little bit of gladness mixed in. 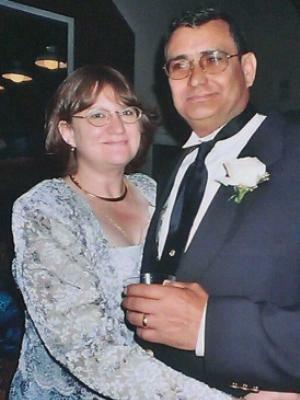 Greg lost his beautiful wife, Dustine on February 18, 2015, and if you have ever lost a loved on, you know that it feels like your whole world just came crashing down on you. Before too long, you are expected to pick yourself up, and get back to your job, but your body wants to go back to bed, and hope that when you wake up again, you will find that all this was just a nightmare. Sadly, it wasn’t, so you move forward, probably a little bit mechanically at first, doing the things you need to do each day, and praying that your heart will stop hurting so badly pretty soon. I don’t say that anything will ever take Dustine’s place in Greg’s heart, because there is nothing that can do that, but sometimes, like in Greg’s life, something else happens that while it doesn’t stop the pain, it adds a little bit of joy to balance it out a bit. Nine months ago, Greg found out that his daughter was going to have a surprise baby. The baby was not planned, nor was she going to be planned for in the future, but arrive she will, and within the next three days. 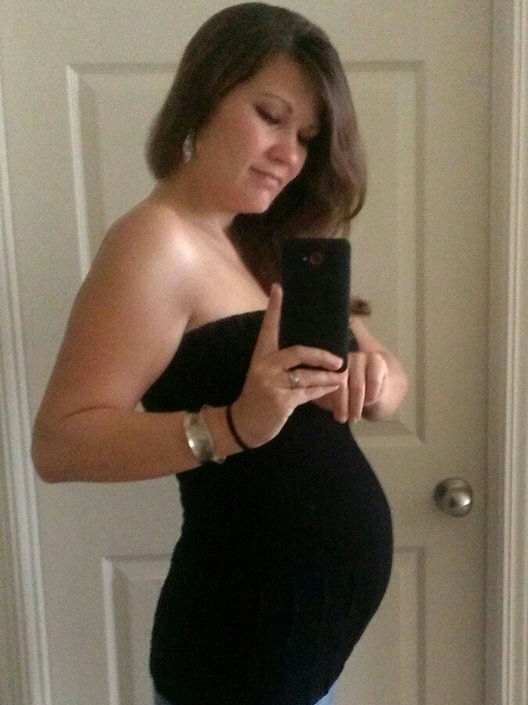 Her mother, Greg’s daughter, Stephanie, found herself pregnant after a seven year time span. I don’t think Greg had expected to have any more grandchildren. He has two, Kathleen and Michael Willard, but what an exciting thing to find that you are going to be blessed with another, and really just when you need some good things in your life. This baby was due a couple of days ago, and I am still holding out hope that she will arrive on her grandpa’s birthday, but even if she doesn’t, she will be a blessing for the entire family. Unfortunately, we can’t change the sad moments life hands us, but God is always so good to us. In the midst, of sadness, joy always seems to comes. I know this birthday will be a very different one for Greg…a very lonely one, but I’m just as sure that he knows just how much his entire family loves him. We are all praying for comfort, and the coming reintroduction of joy in his life. Greg has always been such a kind and thoughtful cousin. It breaks my heart to have him go through such loss at such a young age. I know too, though, that his family means the world to him, and this new little granddaughter will bring him great joy. I can’t wait for her arrival, and I know Greg can’t either. Nevertheless, babies come when they are ready, so we will simply have to wait. Today is Greg’s birthday. Happy birthday Greg!! I’m praying that this is your new granddaughter’s birthday too. Have a great day either way!! We love you!! On June 16, 1858 more than 1,000 delegates met in the Springfield, Illinois, statehouse for the Republican State Convention. They chose Abraham Lincoln as their candidate for the U.S. Senate, running against Democrat Stephen A. Douglas. 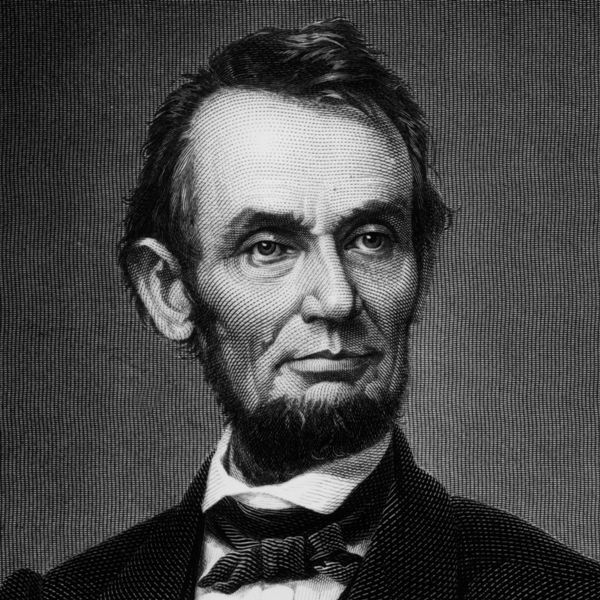 At 8:00 pm Lincoln delivered his famous House Divided speech to his Republican colleagues in the Hall of Representatives. Lincoln said, “A house divided against itself cannot stand. I believe this government cannot endure, permanently, half slave and half free. I do not expect the Union to be dissolved — I do not expect the house to fall — but I do expect it will cease to be divided. It will become all one thing or all the other. 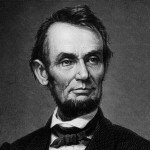 Either the opponents of slavery will arrest the further spread of it, and place it where the public mind shall rest in the belief that it is in the course of ultimate extinction; or its advocates will push it forward, till it shall become lawful in all the States, old as well as new — North as well as South.” Abraham Lincoln decided to run for president, and was elected president on November 6, 1860, and on December 20, 1860 it began…South Carolina seceded from the Union, followed within two months by Mississippi, Florida, Alabama, Georgia, Louisiana, and Texas. On February 9, 1861 the Confederate States of America was formed with Jefferson Davis as it’s president. Abraham Lincoln was sworn in as the 16th President of the United States of America on March 4, 1861. On April 12, 1861 the Confederates under General Pierre Beauregard attacked Fort Sumter in Charleston, South Carolina…the Civil War had begun. The war was long and bloody. Families were torn apart, as brothers fought against brothers and fathers against sons. The South wanted slavery, and the North did not. This war would be a horrible, brutal war. Losing was not an option for the North. 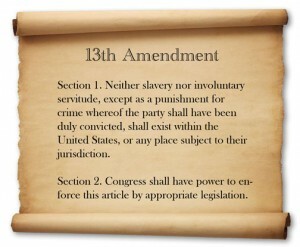 Slavery had to be abolished…it was inhumane, and wrong in every sense of the word. This was Lincoln’s signature change to this nation, and those who didn’t want it hated him for it. The battles raged for four long years, ending the lives of 618,222 Americans and eventually sending 50,000 survivors home as amputees. The Civil War would go down in history as the deadliest of all United States wars…and the enemy wasn’t a terrorist group or some other country…it was us. I think it is a sad thing to think that we were our own worst enemy at one time in history. The battles of the Civil War are names many people remember from their history lessons, Chickamauga, Chattanooga, Cold Harbor, Chancellorsville, Fredericksburg, Bull Run, and a second Bull Run, Shiloh, Antietam..which was the bloodiest day in US Military history with 26,000 men killed, and of course the famous Battle of Gettysburg on July 1-3, 1863, which was the battle that turned the tide in favor of the Union. On November 19, 1863, President Lincoln gave his famous Gettysburg address dedicating the Soldiers’ National Cemetery. The war continued for another year and a half, before General Robert E Lee, being completely surrounded by Union forces, with no possibility of escape, surrendered to General Ulysses S Grant at Appomattox, Virginia. They agreed to a meeting in the parlor of the Wilmer McLean home. The meeting took place at one o’clock in the afternoon, and on this day, April 9, 1865 General Robert E Lee surrendered. The Union had all but won, but this was not over yet. On April 14, 1865, the Stars and Stripes was raised over Fort Sumter…where the war began. That night President Lincoln and his wife, Mary, went to see the play “Our American Cousin” at the Ford Theater. At 10:13pm, during the third act of the play, Confederate sympathizer John Wilkes Booth shot the president in the head. He was moved to the house across the street where doctors tried in vain to save his life. President Lincoln died at 7:22am on April 15, 1865. The war dwindled to a close, and in May the final soldiers surrendered. The Union was restored, and the Thirteenth Amendment to the United States Constitution was passed by Congress on January 31, 1865, and was finally ratified on December 6, 1865. Sometimes, espcially when a couple has been together for a long time, it gets to a place where you can just see the love in their eyes…not to mention, the sheer joy of spending time wth the love of your life. That was how it was with my grandparents, George and Hattie Byer. Everytime he looked at her, you could see the love in his eyes. Grandpa only had eyes for Grandma. Everything she did was a delight to him. If she decided to get a little goofy and dance around the living room, Grandpa thought is was the coolest thing she had ever done…but then, he felt that way about everything she did. That is the I only have eyes for you kind of love. Through the years, we saw that loving look on Grandpa’s face. 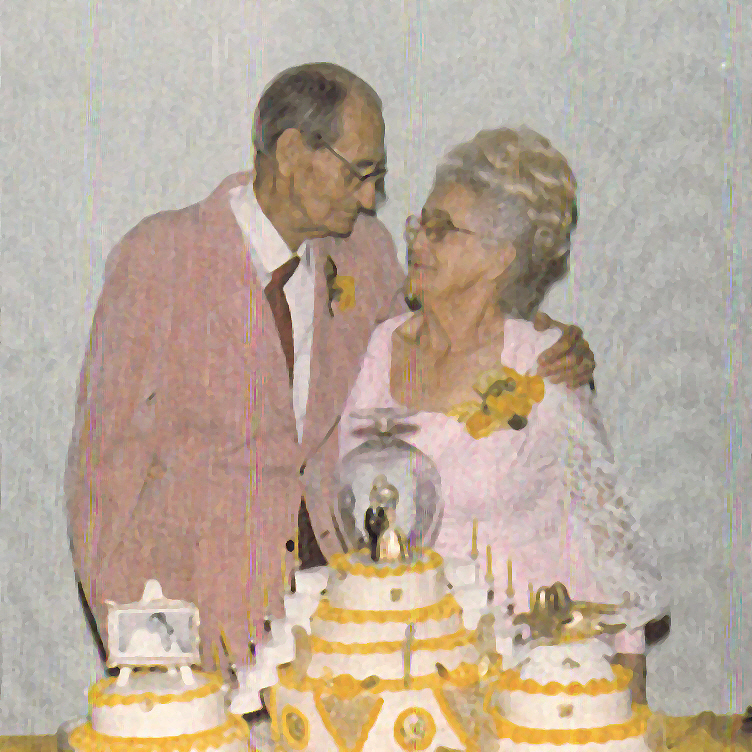 Grandpa was sixteen years older than Grandma, not an uncommon thing for the times, and I think he was so amazed that he had found such a beautiful girl, and that she wanted to marry him. I think he just couldn’t believe how blessed he was. Of course, Grandma was pretty smitten with him too. 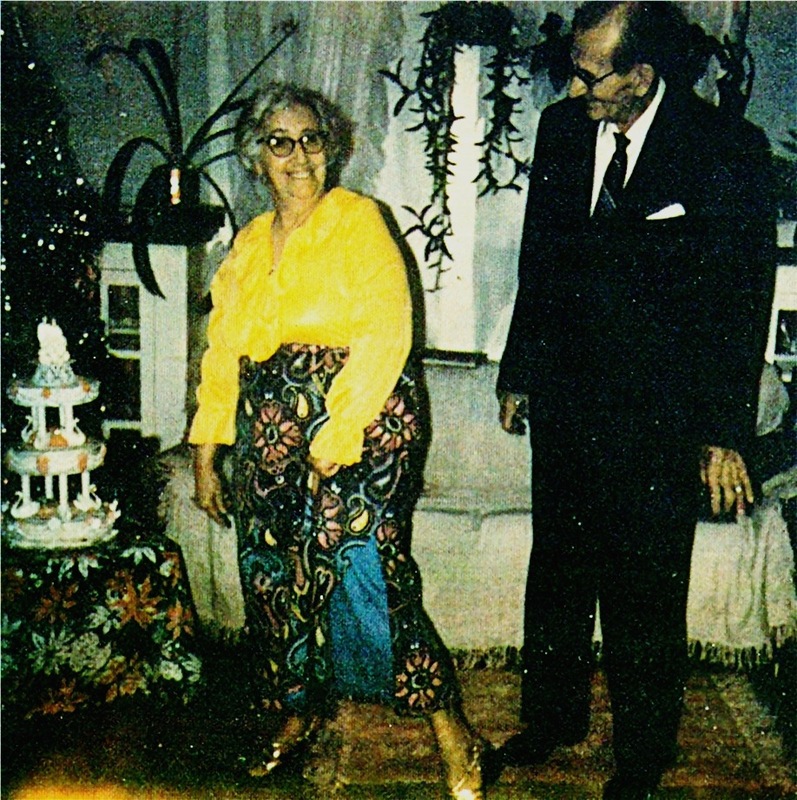 Grandma was a short girl…standing five feet tall…in her tall years, and Grandpa stood over six feet. He was her tall, dark and handsome man, and she was very proud of him. You see, she only had eyes for Grandpa too. Most of the time, that is the way it goes. The feelings are usually mutual. Grandpa was the bread winner of the family, and Grandma was the keeper of the home and the children. Grandma never learned how to drive. She just didn’t see the need for it, and I suppose Grandpa thought that was ok, but I’ll bet that if she had wanted to learn to drive, he would have taught her how. I think she always felt like she had all she needed right there at home, and anywhere she needed to go, he could take her. She would have had to pack up all the kids to go anywhere anyway, so maybe it was just easier to stay at the house. Whatever the reason, my grandmother, who was happy as a clam, had to display that happiness sometimes, and when the urge to kick up her heels struck her, she didn’t hold back. 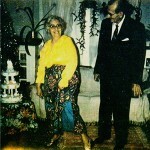 To Grandpa’s delight, she would do something outrageous like strike a favorite pose or dance a jig. 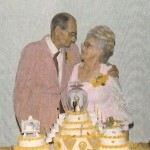 Then Grandpa, who was always mesmerized with his beautiful bride, would grin from ear to ear. It didn’t matter what Grandma was doing, because no matter what it was, he would always only have eyes for grandma. Through the years, I have seen so many changes in my niece, Chantel Balcerzak. 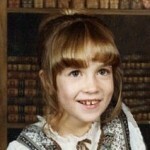 When she was born, she was just a little teeny girl, a fact that hasn’t really changed very much. That is just about the only thing that hasn’t changed, however. From the very beginning, Chantel knew just what she wanted. Determination was her middle name. She wasn’t belligerent or anything, it was just that she set her mind to something, and she followed through to the finish. Chantel has always wanted to be a writer. 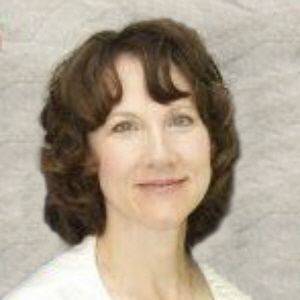 Like most authors, she has lots of projects she is working on. She is also a painter, and her work is quite beautiful. A while back, she finally decided to quit her job, and follow her dream. I’ve seen lots of her artwork, and it is beautiful, but I have not read any of her stories yet. I do look forward to doing so very soon, however. She has lots of great ideas, and with her love of fairies, I wouldn’t be surprised if her writing will contain fairies too. I think it takes a special kind of imagination to write about things like that. For me, it’s all about family and history. I don’t really have the kind of imagination that takes in the imaginary world, but then if every author wrote about the same things, it would get pretty boring too. Chantel has always been a girly girl. She loves dressing up and looking pretty. Her height has always been something that made her stand out. I think that super tall and super short people are just noticed. Maybe it is the novelty of it. Chantel is a definite contrast to her husband, Dave, who is pretty tall. That seems to be the way it goes. Those short girls just seem to attract the tall men. It’s all about the long and the short of it. These short little girls look so cute next to their big strong husbands, and the husbands get to feel like their hero…especially when it comes to reaching those things that are just too far out of the reach of those little girls. Chantel has a look of forever young about her. Her pretty face never seems to age, and her short stature just adds to the illusion that she is much younger than she is. Not that she is old, mind you, because she is after all, my niece, and I’m not that old either…no matter what my husband says. Chantel was my first introduction into the world of auntdom, and I couldn’t have asked for a nicer introduction. Today is Chantel’s birthday. I’m not telling her age, because, after all, she is ageless. Happy birthday Chantel!! Have a great day!! We love you!! Lately, I have been looking in Ancestry.com, at immigration records for many of my ancestors. 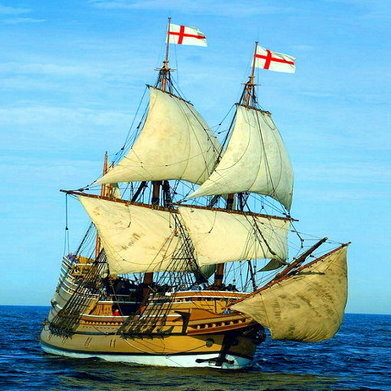 As I looked at the different ships they sailed on and the different locations they came from, I began to wonder about what it was really like to immigrate back them. I decided to do some research on that subject, and I was amazed at some of what I found. Of course, the biggest obstacle they faced was the cost…especially for a family. What doesn’t sound like much to us today, was really a lot of money back in the 1800s, and before. My great grandfather, Carl Schuhmacher spent seven years saving the $50.00 that it cost for one person to go. Many times, the whole family would work to send one person over so they could see if the opportunities were really there, and then that person would work t pay for the rest of the family to come. For people who had to travel in steerage class, the journey was going to be a rough one. 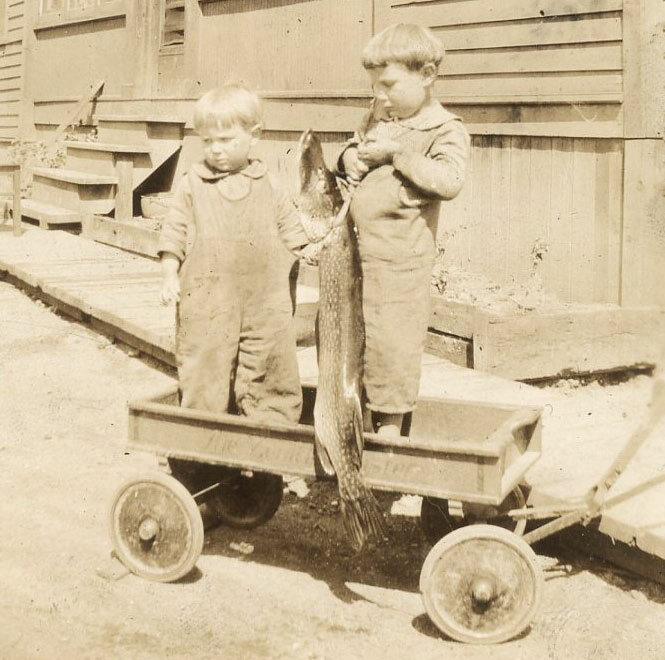 There was no limit to the number of steerage tickets sold, and the cost was usually $30.00 per ticket, which tells me that maybe my great grandfather had not traveled in steerage class…which is a relief to me after what I have read. Since there was no limit to the steerage tickets sold, the people were packed into the steerage area like cattle. The cost to feed each one was about sixty cents a day, so they could potentially make a net profit of $45,000 to $60,000 for each crossing. This was money made at the expense of the health, welfare, and even lives of those steerage passengers…a fact that I find shocking to say the least!! Even when the immigrant wasn’t in steerage, the rough weather often made everyone sick. I don’t think that ships back then had some of the stabilizing features ships have today, and since they were smaller, they were probably tossed around more. Not good if you get sea sick…or even if you normally don’t. Immigrants were told to be at the docks a day ahead of the departure date, because they had to be examined by American doctors before they were allowed to board the ship. I have no idea where they waited if they didn’t get examined the day before they sailed. I also have to wonder if they had to be examined again when they arrived here, because so many of them were sick on the ship that I would still think they brought disease to America. Arrival in America didn’t necessarily mean they were set either. 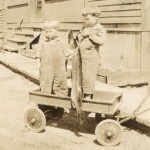 Because of language differences and strange sounding names, they were often subject to verbal abuse and discrimination. To fit in they would need to learn English…something I do agree with, although I don’t agree with discrimination or verbal abuse…or any other kind of abuse. I think they needed someone to teach them, without belittling them. Most wanted to fit in, but didn’t know how to learn English, or simply didn’t have a way to learn it. Any time you make a decision to move to another country, it is a life changing decision, but in those days, it was a much bigger change than it is these days. Had it not been for necessity, due to famine and poverty in their ow country, I have to wonder just how many people would have taken the risk. I read yesterday that Earth’s saddest day and it’s happiest day are just three days apart. That is truly one of the most profound statements ever written. 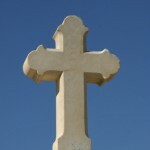 On Good Friday, Jesus had to die to take away the sins of the world, and today, Easter Sunday, just three days later, He rose from the dead triumphant, having paid the debt that the world could not pay. The one act was the most amazing act in the history of Earth. It was a selfless act of a loving Saviour. He knew it would be painful and he knew he would have to endure separation from His Father, and yet he chose to do it anyway, because he knew that the people of Earth had no other way out of the horrible mess they were in. Now, every year we honor Jesus, because He loved us so much that he gave up his life for us. We also live every day looking forward to the day when we will live in Heaven with Him forever. On this…Resurrection Sunday, I honor Jesus, my Lord and Saviour. Not everyone agrees with me on this, I’m sure, and that is their right. God gives each of us the right to decide which side we will choose…Heaven or Hell, but it is His hope that each of us will choose, Heaven…life…Jesus. The Bible says in Joshua 24:15, “But if it seems wrong in your opinion to serve the Lord, then choose today whom you will serve. Choose the gods whom your ancestors served beyond the Euphrates or the gods of the Amorites in whose land you live. But my family and I will serve the Lord.” It is your choice, and I pray that you will choose Jesus! Then, Heaven will be your home. As a young boy, my uncle, William Malrose Spencer II “Uncle Bill” remembers his mother, Anna Schumacher Spencer talking about That Black Book. The way she spoke about it must have made him understand that somehow this book was really important, because he never forgot about it. He called it That Black Book, because his mother had called it That Black Book. He figured that was as good a name as any. Uncle Bill writes, “The year was 1937, and we lived on a farm exactly one half mile West and exactly one half mile North of Holyoke, Minnesota, which was about 20 miles Southwest of Duluth.” He is so meticulous when it comes to the details of the family history…a fact that makes every detail so clear to the reader. The book came to be about the time of World War I, when his dad, my Grandpa Allen Luther Spencer had gone to Arapahoe and Thomas, Oklahoma to visit his Uncle Luther and his Uncle Cornelius “Neal” and their families. The uncles had homesteaded in the area in 1895. When he came back, he brought with him the family historical information that Grandma Anna Schumacher Spencer filled the first seven pages of That Black Book with. 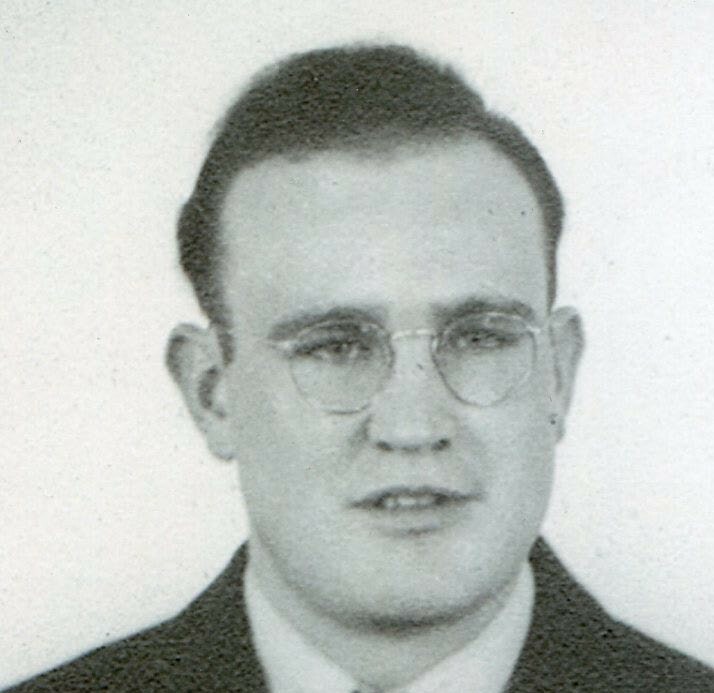 Uncle Bill believes that most of the information came from his Great Uncle Luther, and then recalls that it was at that time that his own interest in the family history started…never to end. Being a very meticulous man, who checked his facts as carefully as possible, Uncle Bill became a little frustrated when it appeared that there were errors in the information found in That Black Book. Of course, the only error was that in writing down the history, Christopher Spencer’s father was listed as his brother, making the birth years look like an impossibility. Uncle Bill is a smart man, however, and he figured that problem out right away. As I said, he was meticulous. He just couldn’t let a situation rest until he fixed the error in it. The really amazing thing about that is that he did his fixing without the benefit of a computer and the internet. His work always involved trips to different places to spend hours going through archives in libraries and government records offices. While That Black Book did contain errors, it really served its main purpose anyway, in that it peaked the interest of a young boy with an amazing amount of determination. Through the years Uncle Bill would build on, correct, and give away copies of the family history to any and all of his relatives who were interested. He is responsible for many additional family historians coming up the ranks in the family, myself included. 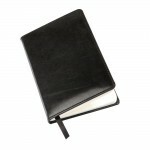 And it all started when a little boy became interested in the family history information contained in That Black Book. I often wonder how it must have felt to live in a time when so many things were changing in ways that man had not seen before. Things like the automobile, the airplane, the light bulb, the telephone, and the telegraph, all came into being between the 1800s and the early 1900s. Prior to these things, our world was rather primitive concerning things like travel, communication, and even the home life…at least by today’s standards, anyway. When families began moving West to find land and adventure, it was often a very sad time, because many of these people would not see their loved ones again. They might not even hear from them. This really seemed like an unacceptable situation for most of the people on both sides of that spectrum. The people needed to hear from their loved ones, and so like every other idea, from necessity came a solution…the Pony Express. Prior to the Pony Express, people might try to send a letter with a wagon train heading West to see of they could manage to get it to a loved one who had left a year or more before. Imagine the impossibility of that feat. The person with whom the letter was sent, might not even know the person to whom the letter was being sent. It meant asking around in the area they had planned to settle in, and if they had moved elsewhere…well that is the real definition of the dead letter. The Pony Express became the first dedicated postal service ever, on this day, April 3, 1860, but it was a far cry from the mail service of today, about which many of us complain. The men who chose to be Pony Express riders had to be told about what they might be riding into. There were Indians, who did not like the White Man. Treaties had been broken, and the White Man was considered an intruder on Indian land. To say that the White Man was not welcome in the West, was putting it mildly. Every time the Pony Express rider set out, he was taking on the risk of never coming back. 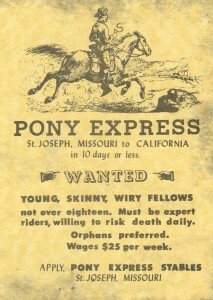 The Help Wanted posters clearly stated the dangers, and the riders had to be single young men preferably under eighteen and preferably orphans!! Not a glowing help wanted ad, for sure, still there was a need, and these brave men took the challenge and made it work. The Pony Express was a short lived phenomenon, however, lasting just eighteen short months. I suppose something had to be done to make mailing a letter safer. At the point when the last Pony Express rider rode his route, the telegraph had somewhat taken its place. Most what had been needed was to be able to let people about the death of loved ones and other urgent or important news, so it seemed like an unnecessary risk to place on these men, when a safe way had been found. The first Pony Express rider to make the run has been a matter of dispute, but historians have narrowed it down to Johnny Fry or Billy Richardson. James Randall was credited with being the first Eastbound rider, heading out from San Francisco to Sacramento, and William (Sam) Hamilton took the mail from there to the Sportsman Hall Station, where he handed it off to Warren Upson. 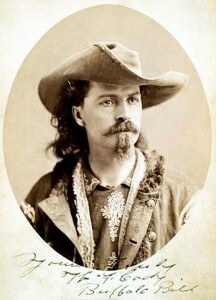 Other riders were Gus and Charles Cliff, Robert Haslam, Jack Keetley, Billy Tate, and the famous William Cody, known to most of us as Buffalo Bill. Together, these men rode into history as some of the bravest men who ever lived. Riding alone through dangerous territory, risking their lives to make life a little easier for the ever expanding nation we lived in.